Will Pride and Prejudice and Zombies make Hip-Hop and the Law Easier? 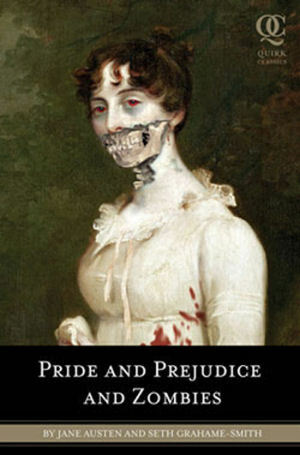 Last year's smash hit novel, by Seth Grahame-Smith, Pride and Prejudice and Zombies (PPZ) took the literary world by storm with its odd mash-up of traditional English literature retold through a macabre, Twilight-esque lens. The book sold over a million copies and helped secondary school teachers, teach a book, that not many students were apparently embracing. PPZ used 85 percent of Jane Austin's original text and combined it with typical zombie violence. This new re-telling of the classic novel has helped preserve this classic for a new generation. Mash-ups have long been important for hip-hop. Remixes, guest appearances, the first mixtapes, etc. all produced dramatic effects combining new and old into something if not new than different. Change, innovation, and good 'ol fashioned rabble-rousing have been a constant part of the ethics of hip-hop for years. 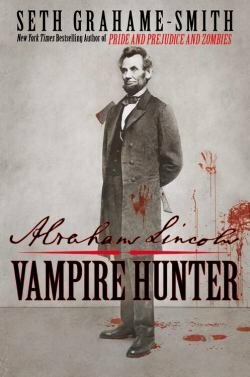 I made the fateful decision to buy Seth Grahame-Smith's new novel, Abraham Lincoln: Vampire Hunter. I'm no fan of zombies or vampires, or Twilight, or any of the supernatural books and shows that seem to have flooded the consciousness of every pre-teen, teen, and even a startling number of adults. But, I do like history and I do like Lincoln. I've only just begun the book, but I can tell it's going to be a journey. What does this all mean for hip-hop? Although the academy has become increasingly interdisciplinary, there continues to be a bias against popular culture. Sure you can find economics here, political science there, philosophy in that corner, and the entire brethren of liberal arts and social science disciplines mashed up with the law, but try and collect a critical mass of law and hip-hop, law and sports, law and television legal dramas, etc. and you're likely to not come up with much. Popular culture seems to have had an easier time in other disciplines, but law likes to eb exclusive, private, even confusing. Popular culture in many ways is antithetical to law. It is not rigidly structured, not supportive of canonical interpretation, not an exclusive club. Just as most of us thought that Abraham Lincoln and Vampires were antithetical (if in fact the two occupied the same thought). On face, it makes sense that there are not more mash ups of popular culture and the law, but with the recent success of Grahame-Smith's novels, perhaps there is a new acceptance of the unusual. Imagine retelling the Richard Sander verses the world story as a tale of Tupac vs. Biggie. Or could the collapse of a corporation be compared or told through the lens of the collapse of Bad Boy? Could we fuse Common's lyrics with a retelling of John Rawls's A Theory of Justice? 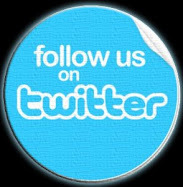 Garrett Hardin's tragedy of the commons and __________? I'm not saying there's a NYT's bestseller here or a Harvard Law Review article for that matter, but we might be in for some good news with Grahame-Smith's success. 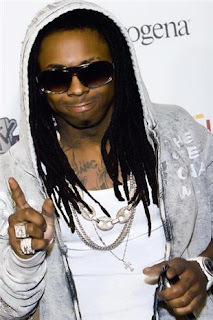 Lil Wayne was sentenced today to a year in jail after pleading guilty to criminal possession of a weapon in October 2009 after he admitted to having a loaded .40-caliber semiautomatic gun on his tour bus. His sentencing had been postponed twice previously, once for dental surgery and once last week due to a fire in the courthouse basement. The sentence will apparently be served at Rikers Island without protective custody, and there is a possible early release available after eight months with good behavior. Lil Wayne used his brief reprieve from sentencing productively, spending the time appearing with Jay-Z at a Madison Square Garden show.